2016 brought with it some ups and downs where Then & Now, the book, was concerned. Late in the year, it received ‘Honorable Mention’ in the Books category at The Heritage Toronto Awards. That was indeed an honour, considering the lengthy list of nominees in the category and the impressive list of Award winners in all categories. Sadly, 2016 also brought with it the demise of Three O’Clock Press, the indie publisher behind Then & Now: Toronto Nightlife History and a strong selection of other books. Currently, a few remaining copies of Then & Now can be found in Toronto book shops. I am hoping to work with another publisher in future and will post any related updates. In the meantime, I will be posting a number of club histories that were expanded – in some cases entirely rewritten – for the book. Many of the earliest stories written for TheGridTO.com were quite brief and featured only one or a few interviewees. The histories of clubs including Roxy Blu, Twilight Zone, 23 Hop, Industry and Nuts & Bolts were expanded for their chapters in print. The ‘Extended Mix’ of Roxy Blu’s story has now been posted, with more to follow in coming weeks. 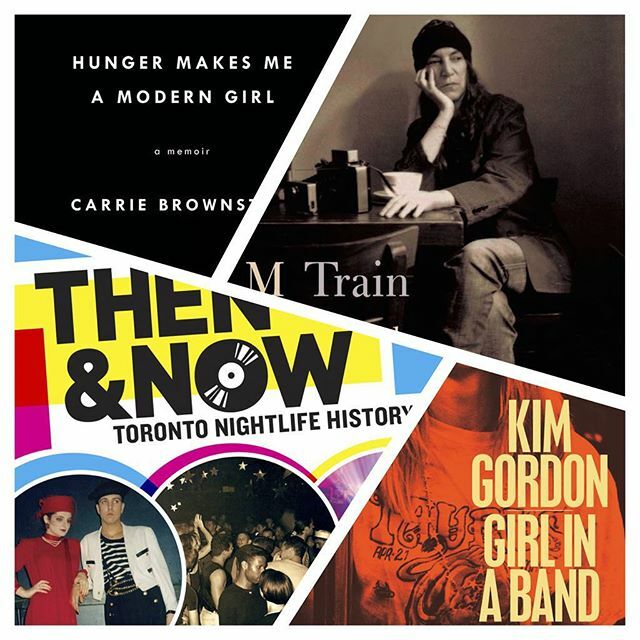 CBC Music recently included Then & Now: Toronto Nightlife History (Three O’Clock Press) in their top 10 “most notable music books of 2015.” I’m absolutely honoured to keep company with the likes of Carrie Brownstein, Kim Gordon, Grace Jones, David Cavanagh, Elvis Costello and Patti Smith! Read their full list, with info about each book here. December 9, 2015: The second printing of Then & Now is Now in Shops! Look for the book in indie book and music shops around town, including places like the Spacing Store (signed copies! ), Glad Day (both in the shop and via their web store), Soundscapes, Type Books, Another Story, Book City, Ben McNally Books, Sonic Boom and elsewhere. You can also find the book at Indigo (online and select stores), on Amazon, via our publisher, Three O’Clock Press, and at indie shops in Guelph, Kingston and elsewhere. You can also ask your favourite store to order it in! And it looks a little something like this…. 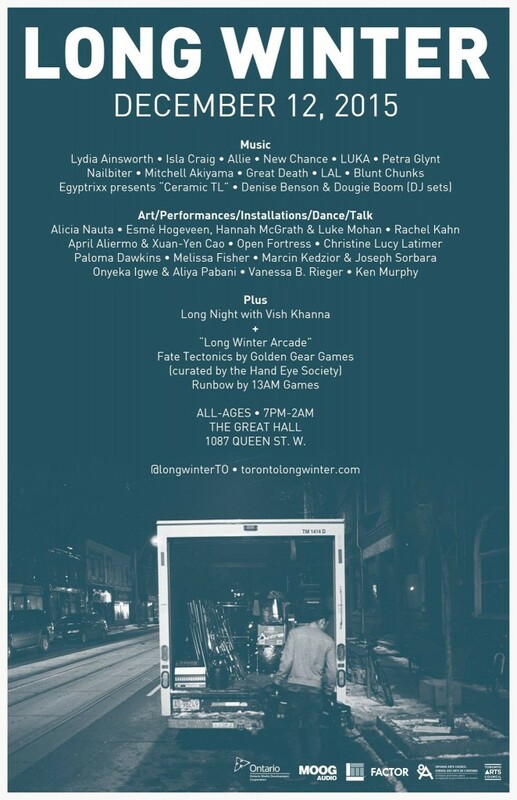 I’m thrilled to take part in a LONG WINTER! These monthly events at The Great Hall bring musicians across myriad genres together with visual and performance artists, DJs, writers, community activists and others, and are a highlight of this city’s colder months. The entire December 12 lineup is spectacular, as the poster below proves! Between 9-10pm, I’ll be one of Vish Khanna‘s guests for his live Long Night talk show, downstairs in Black Box. We’ll talk Toronto nightlife history and more. From 1am ’til close, upstairs in the main room, Dougie Boom and I will spin a Then & Now inspired set of past, present ‘n future dancefloor burners. Some copies of the Then & Now book will also be on sale throughout the eve so look for us…. and take in some amazing talent! More event info here and here. Then & Now: Toronto Nightlife History launch party. The launch party takes place Thursday July 23 at NEST (423 College), beginning at 7:30pm. 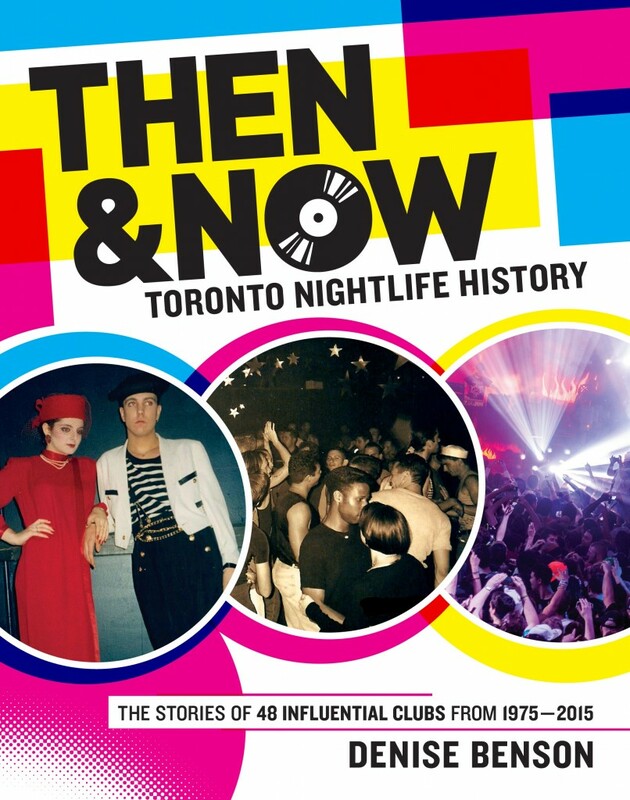 Please join us in celebrating the release of Then & Now: Toronto Nightlife History! All are welcome at this FREE event. DJs spin through sounds, genres and decades and genres from 10pm, with: MARK ‘SHUGGY’ OLIVER; PAUL E. LOPES & MIKE TULL; JAMES ST. BASS; DJ BARBI and DEKO-ZE. Big thanks to all who’ve visited the Then & Now website since our launch in late December. I’ve appreciated the many comments posted and messages sent, not to mention all of the people who’ve gotten in touch (via the Contact page) to share photos and flyers related to some of the many influential Toronto clubs written about in this series. Given that some of the club histories explored here go back to the 1970s, ‘80s and ‘90s, as in pre-digital cameras, finding related photos can sometimes be difficult. Get in touch if you’ve got images you’d like to share! I’ll add more to a number of stories in coming weeks, and will post here to let you all know about it. In the meantime, check out the latest Then & Now story, about the history and significance of The Guvernment. It’s a very detailed look at a club that meant so much to generations of music fans, featuring interviews with many of the Guv’s key players plus dozens of fantastic photos, video footage, and live DJ mixes from both Mark Oliver and Manzone & Strong. Watch this space for added info about the stories, and for the countdown to the Then & Now: Toronto Nightlife History book being published!